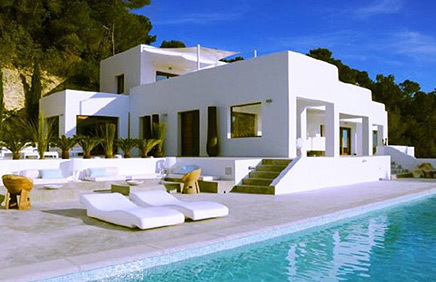 Porta Ibiza - Your specialist for holiday properties in Ibiza. Minimal House & Art Estate S.L. Minimal House & Art Estate S.L. and are protected by copyright. We do not participate in dispute resolution procedures before any consumer conciliation body. Please feel free to contact our Customer Services at any time by telephone, e-mail, or by using our contact form. The following discloses our information gathering and dissemination practices for all of our websites. Minimal House & Art Estate S.L. requiring your data. As a user, you remain completely anonymous. Your personal data will only be collected if you disclose them voluntarily when you complete forms, for example during the course of a property enquiry or a registration. For further processing, we require your name, address, telephone number and e-mail address. If you disclose your e-mail address to us, we will use it to send you our Newsletter. The Newsletter is sent by e-mail and contains information about new products and offers. We will not disclose your personal data, which we use to send you our Newsletter, to third parties. You may unsubscribe from the Newsletter at any time with future effect by e-mail [info@portaibiza.com], by telephone [Tel. : +34 971 720 164] or by post. If you have any questions with regard to the collection, processing and use of your personal data, you may contact Natascha Sandig, our Data Protection Officer, who is also available to deal with your information queries, applications or complaints. What information do we collect and how we use it? We ask you to provide us with some personal information such as your name, e-mail address and phone number. We need your e-mail address in order to send you further information of our properties you are interested in and customer service e-mails. We use your phone number if we need to contact you for further information concerning your property search. We collect and store your personal data in our internal database. Only authorized staff has access to this information and the same is stored and protected by firewalls and intrusion detection systems to prevent any unauthorised access. The before mentioned data can be and will be put at the disposal of third service providers (such as co-operative brokers, etc) as long as this should be necessary for the handling of your inquiry. Minimal House & Art Estate S.L. is not responsible for the privacy practices or the content of such websites. Sites we partner with have often the same look and feel as our portamallorquina.com site. They use your information only for supplying the service they offer, and may not use your personally identifiable information for anything other than the primary purpose for which the information was collected. There is a section of the website where you can apply for a job with portamallorquina.com. We collect personal information such as name and address to contact applicants in relation to their job application. We also ask for optional demographic information, which we use for recruitment purposes only. We do not share any of the above mentioned information with anyone else. Minimal House & Art Estate S.L. will hire a third party to act on our behalf for projects such as market research surveys and contest entry processing and will provide information to these third parties specifically for use in connection with these projects. The information we provide to such third parties is protected by a confidentiality agreement and is to be used solely for completing the specific project. 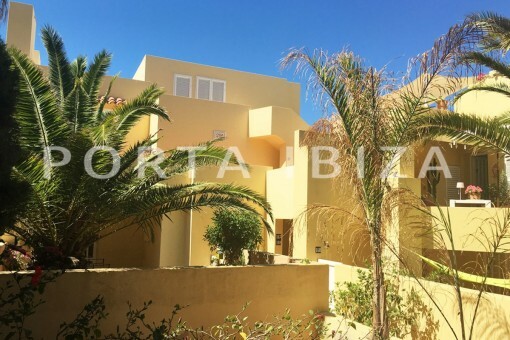 Minimal House & Art Estate S.L., the site may request the retrieval of one of these cookies, and the information received will personalise our content, offers and services to suit your individual property preferences. Minimal House & Art Estate S.L. cannot be accessed by any other websites. By completing and sending the contact form you agree that we may retain and process the personal data you have transmitted to us to answer your queries and for technical administration purposes. You further agree that your data may also be disclosed to those companies which form part of the franchise system and may be used and processed for the purpose of contract fulfilment. Your personal data will not be disclosed to any other third parties. You have the right to withdraw your consent to future use at any time. To do so, please send an e-mail to us. Stored personal data will be deleted if you withdraw your consent to their retention, if knowledge of this data is no longer required to fulfil the purpose for which they are retained, or if their retention is impermissible on other statutory grounds. At your written request, we will be happy to disclose details of your stored personal data to you. We make every effort, using all technical and organisational means at our disposal, to store your personal data in such a way that they cannot be accessed by third parties. We cannot guarantee full data security when communicating by e-mail. We therefore recommend that confidential information be sent by post. The protection of your personal data when collecting, processing and using them is important to us. Your data are protected in accordance with statutory requirements. If we are going to use your personally identifiable information in a manner different from that stated at the time of collection we would notify you via e-mail. You will have a choice as to whether or not we use your information in this different manner. In addition, if we make any material changes in our privacy practices that do not affect user information already stored in our database, we will post a prominent notice on our website notifying users of the change. In some cases where we post the notice we will also e-mail users, who have opted to receive communications from us, notifying them of the changes in our privacy practices. Minimal House & Art Estate S.L. Please be informed that the personal data you provide us shall be handled with purpose of attend to your enquiry and sending you information which could be of your interest. Minimal House & Art Estate S.L. undertakes to use the information gathered through this form, only for the above- stated purpose. The client declares to be informed of the use his/her personal data will be put to by reading of this clause. The sending of this email constitutes acceptance of the terms outlined.